Timing allows you to track your time as you spend it. No more making up time sheets on Friday evenings! With our mobile and web apps, tracking time has never been simpler. Just tap on your project, and you're good to go! Timing is mobile first. It is available on iOS, Android, and on the Web. 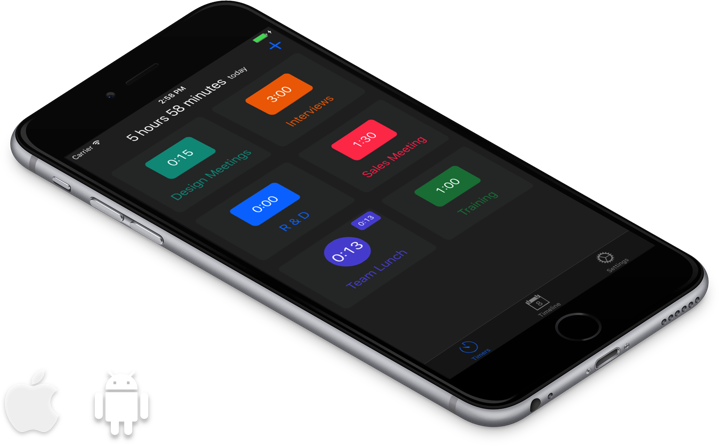 Timing takes the hassle out of tracking your time. Starting and stopping a timer takes just one tap! Our mobile apps are built natively, with a lot of care, to offer you a best of breed user experience. We use the latest and greatest features of iOS and Android to provide you the best mobile experience possible. Our web app is designed to work fluidly on all modern browsers. Our mobile apps are built to work offline. We understand that your work does not stop when you lose network connectivity. Our mobile apps are built with a custom offline enabled sync engine that allows you track your time even when your device is offline, and syncs up with our cloud hosted securely when your device comes back online. Your data will not be lost, even when you’re offline. 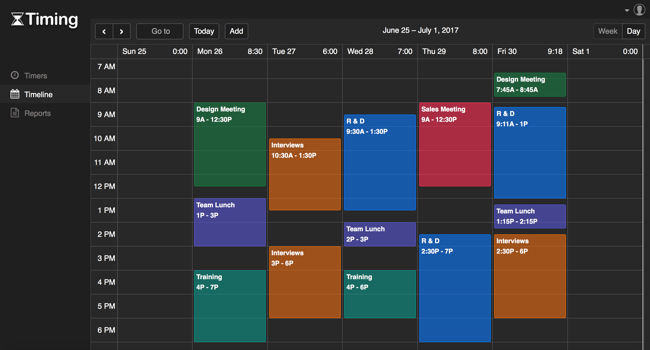 Our mobile and web apps allow you to visualize how you spent your time in a calendar-like interface. 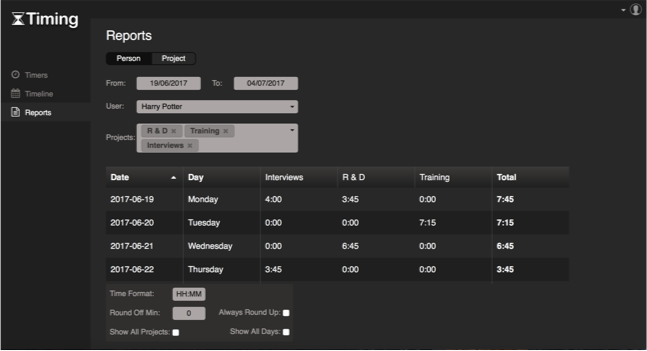 Create time sheets for yourself and your colleagues easily. Analyze the time spent by someone in your organization, or on a project your organization is working on. Export time sheets to pdf, and excel, to send to your clients, managers, or colleagues. Timing is in private beta. Sign up below, and we will be in touch shortly to get you enrolled in the beta program. © 2017 Surya Software Systems Pvt. Ltd.